It’s no secret that chocolate is extremely popular throughout the world. However, its reputation has long been one of a calorie rich junk food or candy with little or no nutritional value. The reason for this is the addition of so many harmful ingredients- sugar, oils, fillers, and waxes- which dilute the favorable properties of cocoa. Also the cocoa used in most commercial chocolates is manufactured with a harsh heating process that that destroys the powerful antioxidants and other nutrients naturally found in the cacao bean. Fortunately, dozens of studies overwhelmingly demonstrate that properly processed dark chocolate still retains its vital antioxidants and other valuable nutrient compounds, and is able to deliver wide ranging benefits to the body. The key when looking for a healthy chocolate is to make sure that it has been cold-processed to ensure maximum antioxidant benefit. The many benefits of chocolate include antioxidant/anti-aging properties, improving cardiovascular health by improving platelet function and decreasing blood clotting, controlling blood sugar and insulin levels, improving blood flow to the brain, improving mental cognition and performance, relieving the inflammatory response, and improving oral health (because polyphenols contained in chocolate increase teeth enamel making them less susceptible to decay). For more information about HEALTHY CHOCOLATE please visit www.healthychocolateNY.com or email Bonnie Pfeifer-Evans at bonpfeifer@mac.com . Enjoy, and bon appetit! Fortunately for all of us- Yes, it’s true! 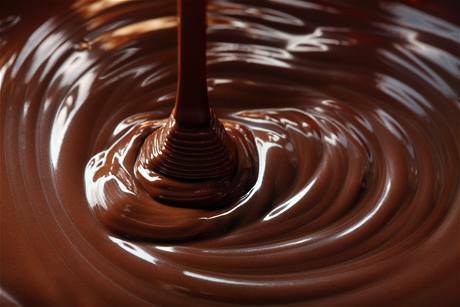 Unknown to most people, chocolate originated as a life-giving and energy-providing beverage. More than 2,000 years ago, the Olmec, Mayan, Aztec, and other Mesoamerican cultures consumed cocoa in the form of a healthy beverage eventually known by the Aztecan word xocolat, which means “bitter water.” Cacao bean paste was mixed with water, chile peppers, cornmeal, and other ingredients and delivered a frothy, spicy “chocolate” drink. All of the Mesoamerican cultures recognized early on that the cacao bean could provide a super-charged level of energy and nutrition unrivaled by any other source. Soon enough, chocolate made its way to Europe and beyond, where it became an international hit and enjoyed a transformation from a spicy beverage to various sweetened concoctions. Eventually, chocolate grew in popularity in the United States around the turn of the 20th century, and it was in the United States that the first solid chocolate was developed. The holiday seasons are wonderful times spent with family, friends, and prayers. It also provides physical therapists a perfect opportunity to review some basic postural advice in order to prevent back pain during the prolonged hours of sitting and standing in the same position. While sitting, avoid slouching or slumped positions as well as overarching (extending) your back. If possible, try to sit with lumbar support (for example, a rolled up towel or small pillow resting behind the small of your back- refer to picture). In addition, the best position for your legs is hips and knees at 90 degree angles (“L” shaped) and with your feet resting comfortably upon the floor. In addition, try to maintain neutral spine and pelvic alignment by connecting the following dots: back edge of ears over shoulder tips over greater trochanters (outer hip bone) over middle of knees over midfoot (refer to picture). If you are having trouble finding neutral spine, try the following trick: stand tall, roll your hips forwards and backwards throughout the entire range of motion available to you. Then, try to find the midway point between both extremes- this should feel comfortable and pain free. It might feel “awkward” at first if it is not your natural standing posture, but it is a new habit worth creating which will feel more comfortable with time. Finally, please see the attached stretches below to help your back feel great: Hold each position for 20 seconds, repeat 4x each. Good luck with your posture and enjoy the holidays in the best of health! Sounds counterintuitive, right? Believe it or not, drinking adequate amounts of water, specifically 64 fluid ounces per day (= 8 cups of water) promotes bladder health and helps people with urinary incontinence. Urinary incontinence, the unintentional voiding of urine, can be related to bladder filling and storing deficiencies. Normally, the bladder (also known as the detrusor muscle) expands like a balloon as it fills with urine until the stretch receptors in the bladder send a message to your brain telling you, “Now I’m full, it’s time to go to the bathroom.” However, the foods and fluids we eat and drink affect the bladder’s ability to store urine. Drinking bladder irritants (ex. alcohol, coffee, caffeine, and carbonated beverages) can cause the detrusor muscle to involuntarily contract, thus causing urine leakage. These irritants can cause the bladder to contract even before it is entirely full. Therefore, if someone leaks urine it may be more related to their diet rather than to their bladder actually requiring to be emptied due to fullness. Therefore, it is crucial to load up on a NON-irritating, bladder healthy fluid- water- in order to flush out any potential irritants. This irritant dilution reduces the potential for involuntary detrusor contraction. Drinking MORE of bladder friendly water will allow for proper and complete filling and emptying of the bladder every 2.5 to 3 hours. If you or someone you know experiences urinary incontinence, a feeling of incomplete emptying of the bladder, or urinary frequency (voiding more than 8x/day or 0-1x/night), please speak to your doctor about pelvic floor therapy. It might be the perfect solution! Learn More about Endometriosis with Padma Lakshmi! Learn more about endometriosis treatment and patient interaction at this free Lunch and Learn with Endometriosis Foundation of America co-founder and Top Chef host Padma Lakshmi! Amy Stein will also be a featured speaker at the upcoming Endometriosis Lunch & Learn with Padma Lakshmi. If you’re in the NYC area on September 29th, please join us. It’s free, and offers 5 CNE credits for nurses. be a featured speaker at the upcoming Endometriosis Lunch & Learn with Padma Lakshmi. If you’re in the NYC area on September 29th, please join us. It’s free, and offers 5 CNE credits for nurses. I know you have been waiting patiently for more details about the I Love You massage. Well, today is your lucky day, because you are about to discover a wonderful way relax your core and help promote colonic motility. Lie on your back- preferably on your bed, but a firm sofa or other comfortable surface will do. You might want to wedge a couple of pillows under your knees. Use your hand in the most comfortable way possible- either as a fist, using your fingers, or using the edge of the palm. Begin on the left side of the body- think of the belly button as the center- just beneath the left rib cage, and massage down toward the pubic bone in a straight line. In other words, draw the letter “I” from the bottom of your rib cage downward. In doing so, you are massaging your descending colon. Repeat 15x. Now for the L: This time, start on the right side of your body, just under the rib cage to the right of the belly button. Massage from right to left, then down toward the pubic bone: across, then down, as in the letter “L”. This also massages both the descending and the transverse colon. Repeat 15x. Finally, draw the “U”: Start to the right of the belly button, but this time, begin at the top edge of the pelvic bone, and massage up toward the right wide of the rib cage, then across to the left, then down to the top of the pelvic bone. Repeat 15x. This massages all the portions of the colon- ascending, transverse, and descending. Good luck, and feel great! Adapted from Amy Stein’s Heal Pelvic Pain. Refer to healpelvicpain.com for details. Anyone who has ever experienced constipation knows how uncomfortable this condition can be. It is important to eat adequate fiber (please refer to previous blogs for details), drinking eight cups of water each day, and participate in exercise regularly.